Would you like to sponsor a "How to make a rain barrel workshop"? Aquabarrel® will develop a package to fit your requirements. Our previous clients include Storm Water Districts from around the country and Municipal Governments. 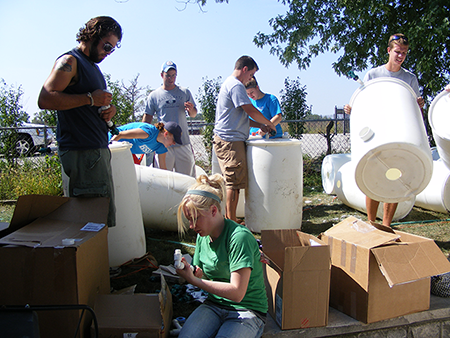 Ball State University students assembling rain barrels from parts supplied in bulk by Aquabarrel. Step by step photographical instruction CD tailored for the workshop environment. We point out all the details at every step along the way. Supplies that include our exclusive warning sticker, sealants. 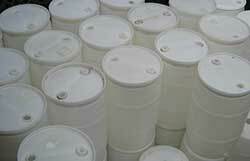 Yes, we can even supply the barrels.